This iconic shoe in the Mizuno line up has attracted even more fans with the evolution of smoothride and the ‘softer-smoother’ approach. This season brings to life a new upper that improves on the overall plush comfort whilst continuing to provide the classic fit the Wave Rider is reknowned for. Cloudwave technology provides a softer landing and a smoother transistion through midstance. 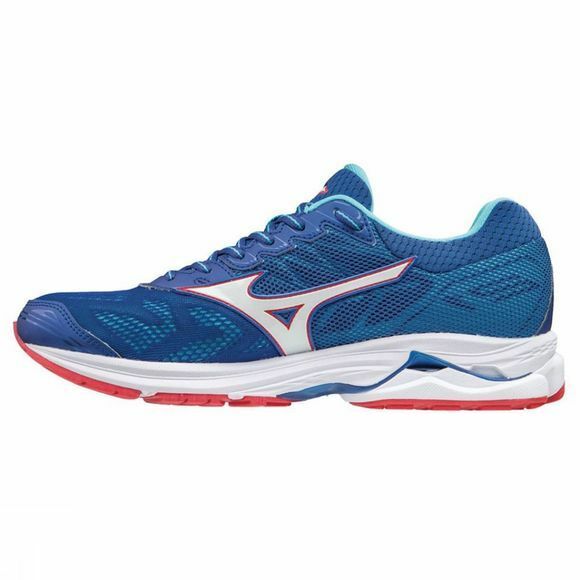 New engineered mesh upper improves on the overall plush comfort whilst maintaining the classic fit the Wave Rider is reknowned for. U4icX heel wedge ensures a plush landing step after step.